The vast majority of property listings and people using property websites are genuine, however its wise to be aware and switched on to possible rental property fraud.The sad fact is that rental fraud has existed even before the Internet, before computers or online places to find a rental property. Rental fraud online exists and potential tenants need to take extra care to avoid becoming a victim of online rental fraud. Websites cannot guarantee your safety no matter how big they are or how long they have been operating. A rental property advert seems very cheap for the area and the standard shown on the photos. The advertiser claims they cannot show you the property and pressurises you into signing and paying before you have seen anything. You are asked to pay anything (tenant referencing , deposits etc) via Western Union or any other money transfer system. Always ask to go and view the property in person, and take a friend with you just in case. Ask the owner or tenant questions. There may be things they won’t tell you at first, but you’ll get to know about if you ask. Don't pay upfront no matter the pressure'Never pay money for deposits or holding fees before you view or even after the first viewing. Be sure you want the property first, and make sure you’ve seen the relevant paperwork. If you’re dealing directly with a landlord, ask for proof of ownership. Again, ask a lot of questions. A genuine landlord will know the answers. Keep in mind that agencies can’t ask you for money to either register with them or to view their list of available properties. If you’re asked for either of these, back away and let us know. Be careful if you know the property or rent fee is cheap when compared to the property type and the area it’s in. If the landlord is making it hard to meet in person or to let you view the property, we suggest you look at something else. If you’re being put under pressure to complete a transaction, or are being asked to pay using online payment services, we suggest you don’t. Go to a bank or meet in person at the property. Make sure everything is in order before you hand over the money. If you find some people on the site who tell you that Homesgofast.com is involved in the rental or transaction, this isn't correct. We never get involved. Despite verification checking and online systems to prevent fake listings its a fact that many online property sites cannot 100% guarantee that a listing is not a fake. While most of the owners post photos that could reflect the condition of the apartments beware of scammers who sometimes post completely fake apartments or old pictures that won’t reflect the actual condition of the apartments that are for rent. This is why it is important to remain vigilant while browsing these websites: while they host online content, they cannot be held responsible in case something goes wrong. 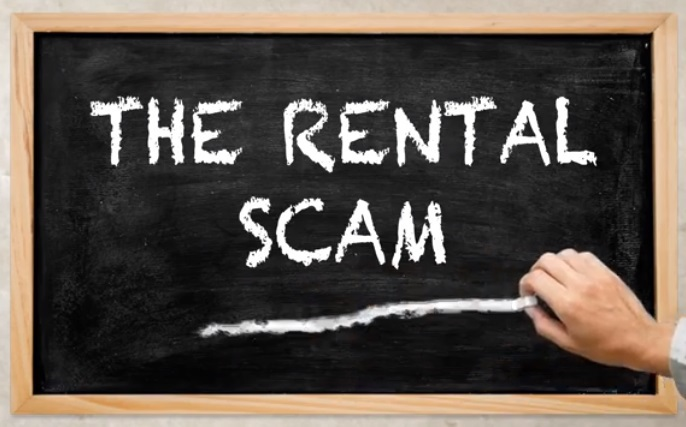 It's good to be aware of the types of rental fraud, however the list will change as fraudsters get more sophisticated. The fraudster poses as an individual renting out his/her own property. Usually it will be listed as available because the owner claims to be living or working elsewhere for various reasons – often charity, missionary or similar work which makes the fraudster appear respectable and authentic. The advertisement or listing may include a photo stolen from websites of genuine estate/rental agents. The fraudster also uses excuses for the property not being available to view. The ‘landlord’ will ask for the first month's rental to be sent by a money transfer service such as Western Union or MoneyGram, promising to then forward the keys via a courier service. Another variant is to ask the prospective tenant to prove he can afford the rent by sending money to a trusted friend or relative, then send the scammer a scanned copy of the receipt, with the false claim that only the named recipient can retrieve the money. The fraudster poses as a property management business with a number of properties for rent. This is a more elaborate scam, often involving fake websites and even bank accounts. The advertisement or listing may include a photo stolen from websites of genuine estate/rental agents. Again, the property will not be available to view, but the fraudster uses excuses to disguise that fact. A fraudster posing as a landlord sublets a property to several people at once. The prospective tenants all arrive to move in on the same day and the ‘landlord’ disappears without trace. Sometimes, when the person impersonating the landlord is already a tenant, the people who have been duped choose to all live in cramped conditions without the knowledge of the genuine landlord. A landlord can become a victim of fraud when a scammer poses as a prospective tenant wanting to rent a property. He will offer to send a cheque (often from a ‘relative’ or business), ask for the cheque to be cashed and some of the money sent to another person by Western Union or MoneyGram, using an excuse such as an accidental overpayment, or funds to pay a moving company. There will be a sense of urgency because the scammer will want the money sent before the cheque is discovered to be fake. The video highlights the scam invloving online websites. Renters are looking for a house or an apartment to lease and get scammed by an “owner.” Victims come across a place in a great area, at a great price. The advertisement looks legitimate so they start communicating with the “owner,” generally by email. The owner says the place is theirs if they wire money to cover an application fee, security deposit, etc. They wire the money, and then never hear from the “owner” again. Always view a property inside and outside before entering into an agreement or parting with any money. Any genuine landlord or agent will be able to arrange for you to enter the property.View the property from the outside at a different time of day from that arranged, for example in the evening to ensure that a ‘vacant’ property is not already occupied. Before viewing a property, check to see if the photos in the advertisement match the photos on Google Maps Street View. If you are suspicious, dig deeper to see if the same pictures are used on other listings with different addresses – indicating a fraudulent listing. If dealing with an agent online, always call them on the phone or make sure they have a fixed address, and visit their premises. Consider using only reputable high street tenancy agents. The possible extra cost is worth extra peace of mind when it comes to integrity and landlord vetting. Alternatively, use specialist rental websites, which may have filters and teams that manually check listings deemed to be high risk. Ask for legally required documents such as energy performance and gas safety certificates. They may give you the paper trail you need to be confident an advert for a property is not a scam. Do not forward money via money transfer services such as Western Union and MoneyGram. They are intended only for transactions between yourself and people you know and trust. They can also be picked up virtually anywhere in the world and with a minimum of or no identification – and are almost impossible to trace once the money has been collected. Wherever possible, pay deposits and up-front rentals by credit card as this may provide protection against fraud. If you are a landlord renting out a property, do not accept payments which involve redirecting part of the rent to another party. Always check references and carry out credit checks on prospective tenants. Ask the landlord if the property is in foreclosure or going into foreclosure. Some US states for example require landlords to inform renters when this happens. If this is not a requirement in your state, the landlord could continue to accept new tenants without sharing the information. Fortunately, you can check the current status of the property in the clerk’s office at the county courthouse. If the property is in foreclosure, you will find documents showing that a foreclosure suit has been filed. If the property is not in default, check for notices of default that indicate the landlord has not been making payments and the property is close to foreclosure. Rental property that appears unkempt and neglected could be close to foreclosure. A landlord who expects to lose the property is less likely to put much effort into maintaining the appearance of the building. If you are asked to fill out a rental application before you view a home, then you might be in the middle of one of a scam aimed at stealing your personal information, such as your bank account number, social security number. They will then disappear once they receive all of this information. This is a bad situation because you basically just gave your identity away. You should always do your research, view the home, and more before you give out any extremely personal information. Occasionally, you may have to give your ID to the landlord, but other than that they should not need anything from you just to show you the rental house or apartment. Try to get a work or other landline number from the landlord so that you can call them to confirm the viewing (and satisfy yourself that they do work at that company). If you are abroad and cannot view the rooms we advise you speak to the advertiser on the phone and NEVER pay by Western Union. If possible pay by a reputable Escrow service.